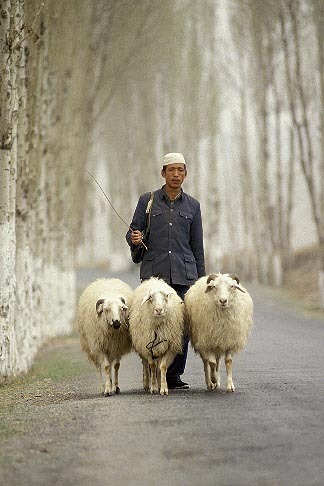 While scouting a photo tour along the Silk Road in Western China we passed this shepherd and three sheep on a country road. I asked the driver to stop, quickly set up a 300mm lens on a tripod, crouched close to the ground and ran off a dozen shots as he approached and passed by. “Ni hao” (hello), I said, and he was gone.